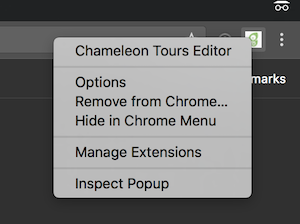 Note: after installing the Chameleon code snippet, the Chrome Extension is not necessary to build and manage your tours. The Chameleon Editor (to build and manage tours) will be automatically available from the Chameleon code installed on your pages. 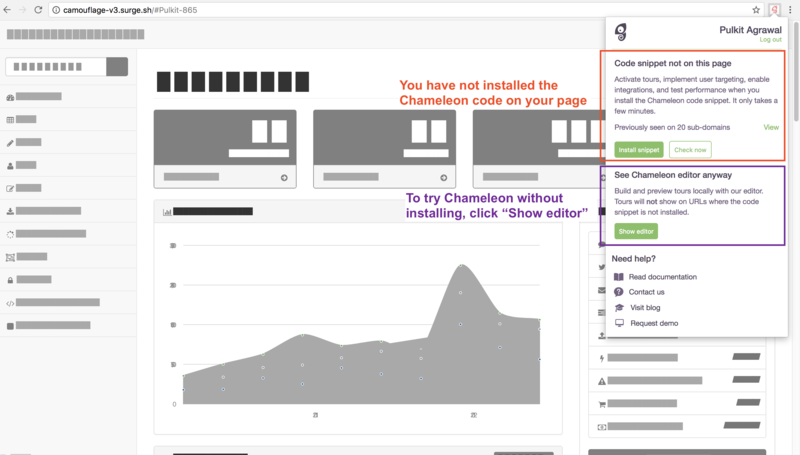 You can download the Chrome extension after you have created your Chameleon account. 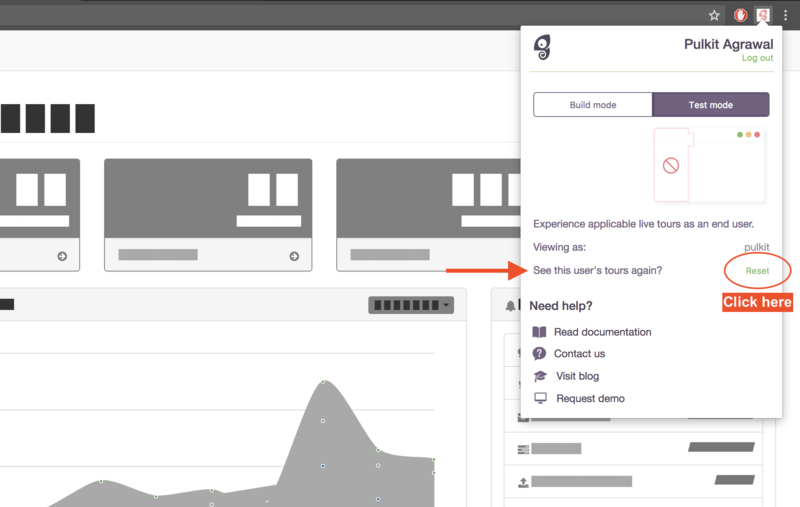 If you are interested in assessing whether Chameleon is a good fit with your needs and requirements, then you can try it for free using the Chrome Extension. This gives you a limited version of Chameleon for just your browser. Can check whether your product blocks Chameleon from operating (via a Content Security Policy). 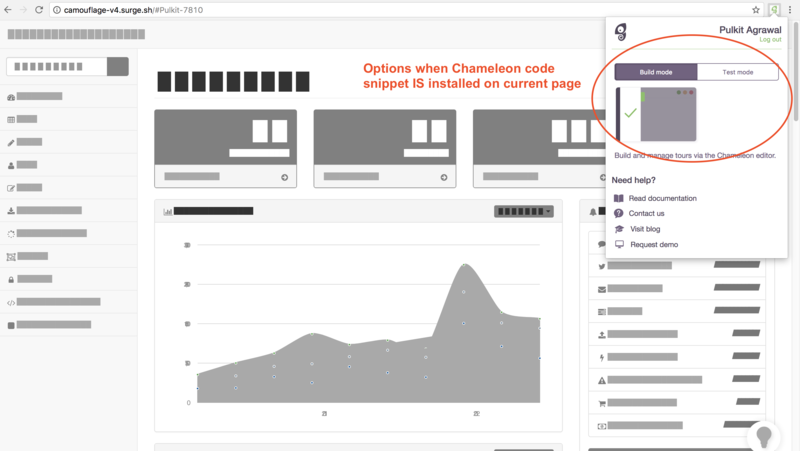 To try Chameleon with full functionality, you must purchase a paid plan and then install the Chameleon code in your product. To use the Chrome Extension in trial mode, simply head over to your app (where you would like to build tours) and click the Chameleon Chrome Extension icon in your browser. These options allow you to switch between Build and Test mode. In Build Mode you see the Chameleon Editor and can access your tours. You can build, edit, preview, analyze your tours etc. using the Editor sidebar. In Test Mode, you will NOT see the Chameleon Editor. You will be treated as an end user and will be able to see live tours as your end users would. This is a great way to review the composite user experience of all your tours together, as you navigate around your app. Note: you will only see tours that are targeted to your end user account. This uses the data saved to the profile you are logged into your product as. As tours only show once per user, if you would like to view your tours again, you can clear your history, using the Chrome Extension dialogue box. You can do both of these by visiting your Chrome Manage Extensions page (copy and paste this in your browser: chrome://extensions) and scrolling to find the Chameleon Extension. To disable it, simply uncheck the "Enabled" checkbox. 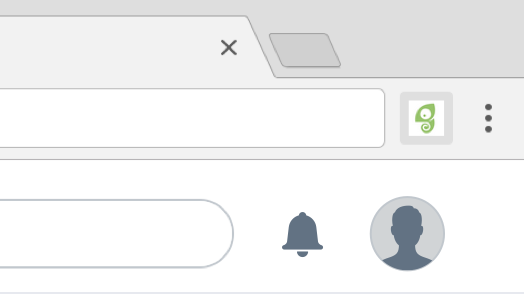 To delete it completely, click the trash icon. As a shortcut you can also remove the extension by right-clicking the Chrome Extension icon in your browser and selecting "Remove from Chrome..."
If you have any questions about how to use the Chrome Extension then feel free to email us or send us a chat message from the green circle to the bottom right of this page.